Neighbouring countries: Kenya is bordered by Tanzania to the south and southwest, Uganda to the west, South Sudan to the northwest, Ethiopia to the north and Somalia to the northeast. Key historical facts: With evidence of the world’s earliest settlers being found in Kenya’s Rift Valley, the country has a rich and varied history. The country’s ethnic diversity has produced a vibrant culture, but also much conflict. The son of Kenya’s founding president, Uhuru Kenyatta took over as head of state in 2013, despite facing criminal charges over election violence five years earlier. Religion: Christianity is Kenya’s main religion. Power sockets/adaptors: Kenya uses the same plug sockets as the UK – 3 pin, with a 240 volt supply at 50 Hz. Drinking water: It is not safe to drink the tap water in Kenya. Many hotels and resorts will supply you with complimentary bottles when visiting. The central Police emergency number in Kenya is 999, but it is notoriously poorly staffed. When visiting a particular district of Kenya, it is very important to locate the number of the nearest police department and hospital, as the emergency services are not centralised as in many other countries. Sun cream: Expensive – take your own. Weather: The climate in Kenya varies largely by location; some areas can be cool most days, where others can vary from warm to hot. The climate along the 500 km coastline is tropical, which means higher rainfall and temperatures throughout the year. The interior of Kenya is mostly arid, with some areas virtually devoid of rainfall; the temperatures here vary widely between day and night. Elevation is a major factor in climate differences; the higher areas are, on average 11 degrees C cooler day or night. Daytime temperatures in the country range between 9 and 28 degrees C.
You need a visa to enter Kenya. You can either get a visa on arrival at the airport or before you travel. To minimise time spent queuing at the airport, get a visa before you travel. You can apply for single entry and transit visas on the evisas website. For other types of visa, apply at the nearest Kenyan High Commission or Embassy. For more information on different types of visas see the website of the Kenya High Commission. If you are coming to live and work in Kenya, you should be aware that there can be delays in obtaining work permits. It’s illegal to work without a permit. This also applies to voluntary work and the self-employed. The area to which the FCO advise against all but essential travel doesn’t include Kenya’s safari destinations in the national parks, reserves and wildlife conservancies; including the Aberdare National Park, Amboseli, Laikipia, Lake Nakuru, Masai Mara, Meru, Mount Kenya, Samburu, Shimba Hills, Tsavo, nor does it include the beach resorts of Mombasa, Malindi, Kilifi, Watamu, Diani, Lamu Island and Manda Island. Mombasa airport (Moi International Airport), Malindi airport and Manda airport aren’t included in the area to which the FCO advise against all but essential travel. If you travel to Lamu Island or Manda Island, you should do so by air to Manda airport and not by road. Terrorists are very likely to try to carry out attacks in Kenya. The main threat comes from extremists linked to Al Shabaab, a militant group that has carried out attacks in Kenya in response to Kenya’s military intervention in Somalia. 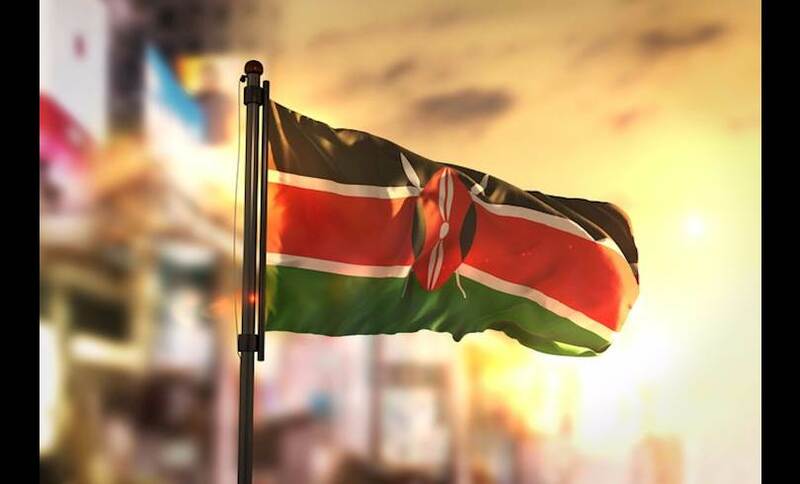 There have been a number of attacks in Kenya in recent years, particularly in Garissa, Mandera and Lamu counties and other mainland areas close to the Somali border. In light of security concerns, the Kenyan government has imposed a curfew in Mandera county and large parts of Lamu county, Tana River county and Garissa county for the hours 6:30 pm to 6:30 am. This curfew doesn’t apply to Lamu Island, Manda Island or Pate Island. Check local media before you travel. There’s a heightened threat of terrorist attacks in Nairobi and the coast and resort areas of Mombasa and Malindi. The Inspector General of the Kenyan police has called on the public to adopt a higher level of vigilance and report any suspicious people or activity straight away. The central county of Laikipia has seen numerous invasions by cattle herders onto privately held ranches and conservancies, in some cases leading to violence and arson. The security forces are seeking to enforce private property rights. Check the latest situation at your destination ahead of travel to the region. The re-run presidential election took place on 26 October 2017. On 6 November, the result of this election was challenged in Kenya’s Supreme Court, which has 14 days to rule on the validity of the election. Political tensions are high and demonstrations and clashes are possible. The election period has seen an increase in protests across the country, particularly in the western region, some of which have turned violent. You should exercise caution and, where possible, avoid travelling around areas where demonstrations may take place. This may include areas around polling stations, large gatherings, universities, political party headquarters, and offices of the electoral commission. Monitor local and international media to avoid any demonstration or disturbance taking place. Leave any area of unrest quickly and don’t attempt to watch or photograph it. You should consider making personal contingency plans in case of unrest. The British High Commission run an SMS alert system for British nationals. There is a threat of piracy in the Gulf of Aden and the Indian Ocean. 100,000 British residents visited Kenya in 2015. Most visits are trouble-free.